How can a kid survive that far into life and not recognize this most basic item? Is this the end of society ..or just one of the countless masses who live off of Happy Meals and frozen pizza. It’s not like I had an odd ball collection of exotic Asian produce…Bok Choy, Leeks, or even scallions or fennel…Tomatillo or artichokes or maybe even a pomegranate. 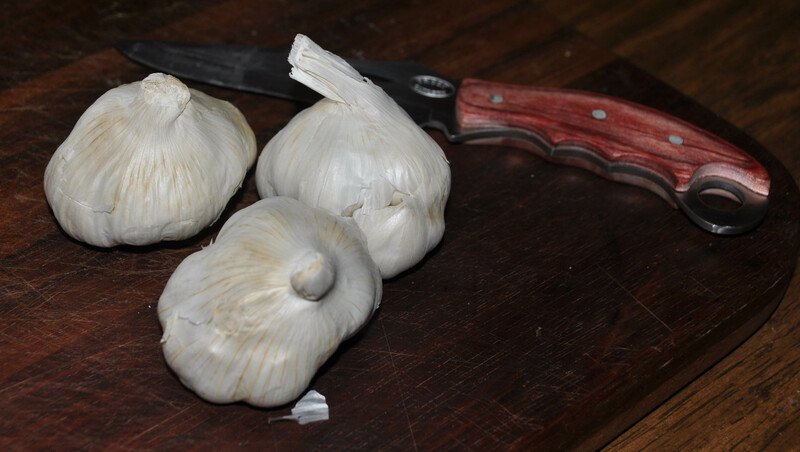 My garlic was destined for the homemade spaghetti sauce. This round included Italian sausage with Merlot, Asiago cheese and sun-dried tomatoes, adding a bit if kick is some Chorizo Sausage, plus Onions, and Mushrooms and of course the fresh garlic. 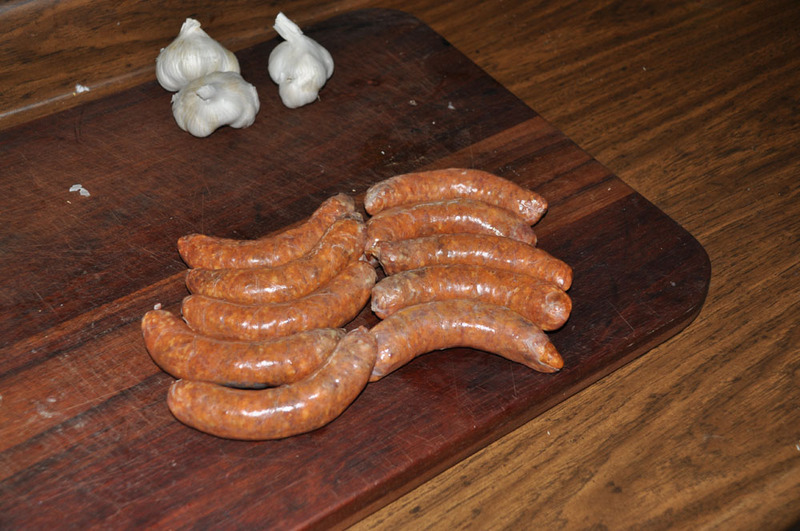 This will be served over ziti….I’m getting hungry writing about it…time to go check the sauce.